Derivation – is obtaining information from the deep structure to create the spoken word. You will know that sometimes what someone says is not necessarily what they are thinking. How do you get to know their true thoughts? We obtain information from the deep structure, the original sensory experience. How do we do that? We use Meta Model questioning. 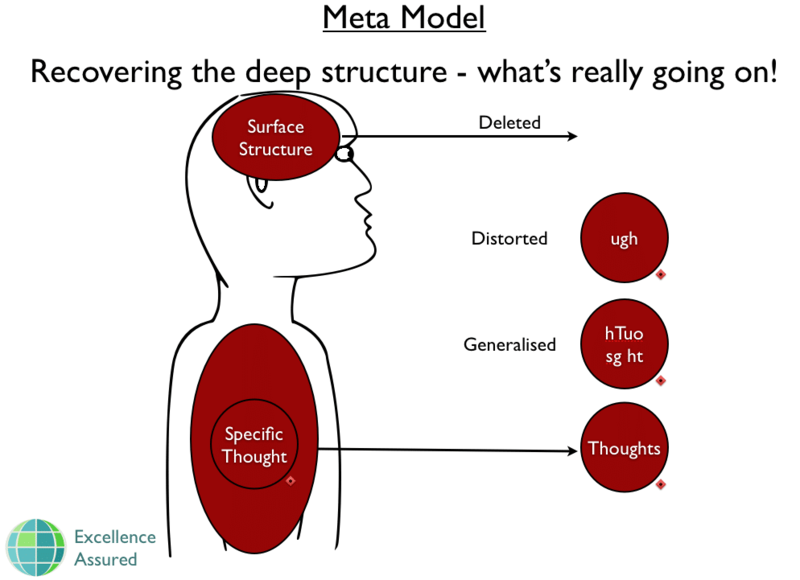 Transformation – is a series of derivations which connect the deep structure to the surface structure, and this is what the Meta Model helps us to do. Our NLP Practitioner Training Courses explain all…! NLP, Coaching & Leadership Training online accreditation (Genuine and true) – here is why). Help us to help you. Our experts are on hand to guide you and assist you.